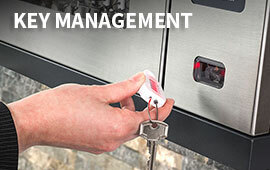 The Pallet Lock can be paired with our cable lock MCLP 180 and MCL 250 to offer high, tamper-evident security. 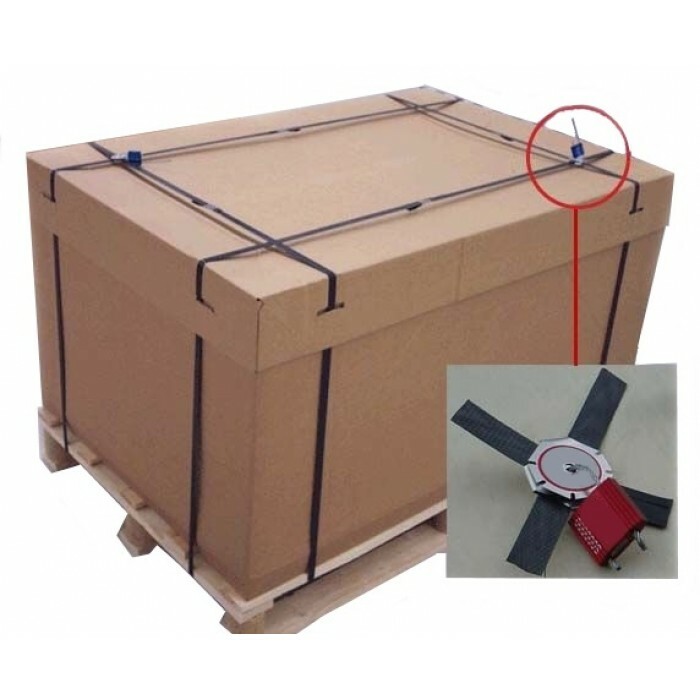 The combination of the Pallet Lock and the cable seals provides a neat and proper binding system for carton boxes with highly tamper-evident features that prevent pilferage. 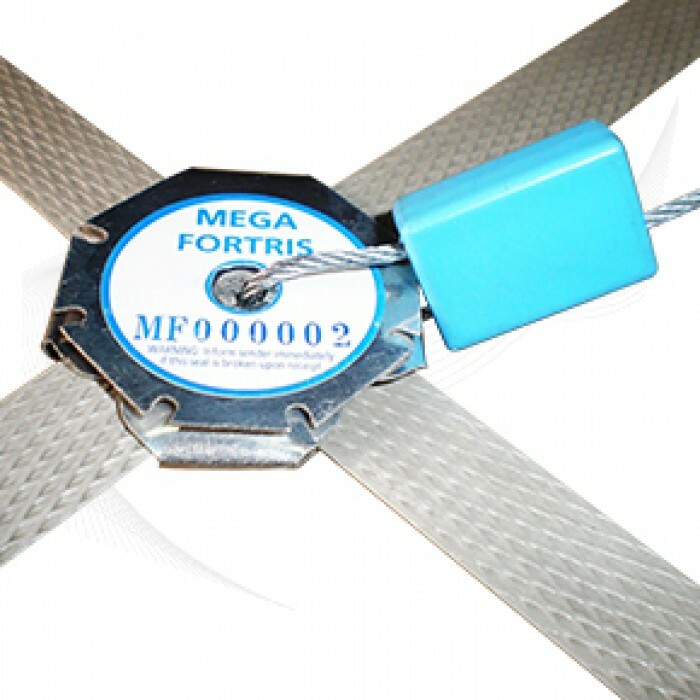 Strapping bands cannot be removed and replaced without destroying the Pallet Lock, and tampering/cutting evidence is easily detected. 1. 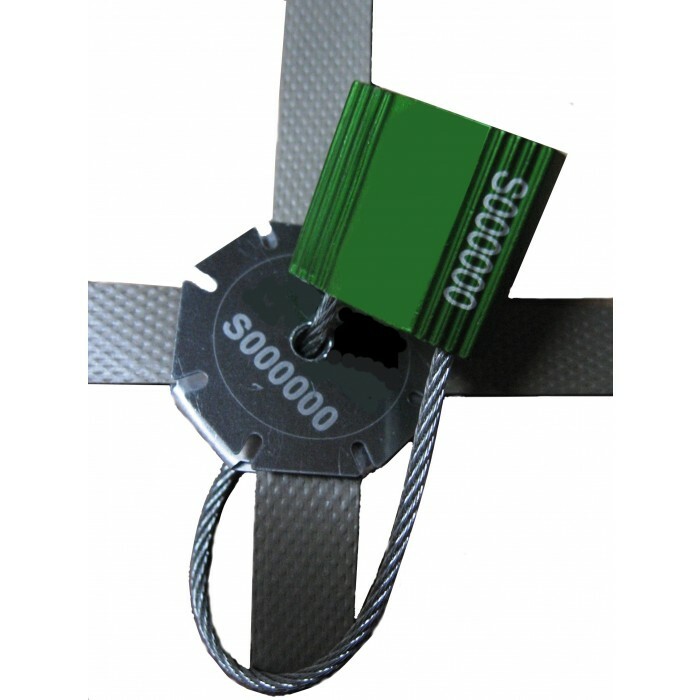 The Pallet Lock consists of an aluminium plate to secure the interlocking of strapping bands on carton boxes and palletised cargo. 2. 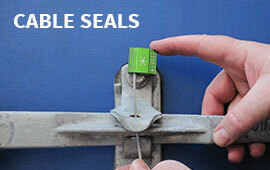 The Pallet Lock seal is numbered with a pre-fixed serial number. 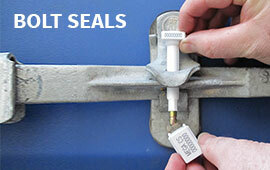 The cable seal used with the Pallet Lock can be marked with a corresponding serial number or a unique serial number if requested by customer. Text and logos can be added into the markings as well. 3. 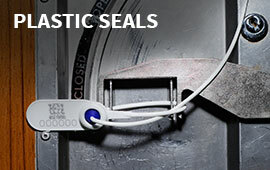 The corresponding laser marked serial number will be marked onto the Cable Seal.